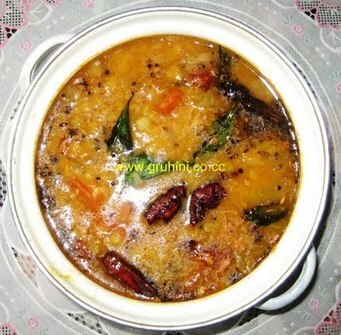 Wash and soak thoor dal for 15 to 20 mins. Clean, wash, drain and chop kulfa leaves finely. Chop onions, mango and green chillies finely. Take the dal in a pressure cooker. 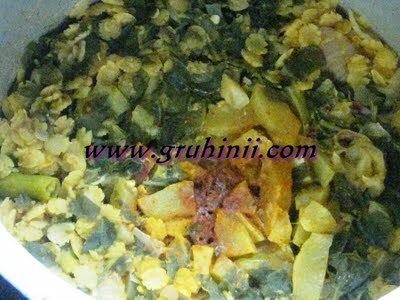 Add the chopped kulfa leaves, onions, green chillies, haldi, red chilli powder and mango pieces. Add 2 cups of water to it. Cook for 3 to 4 whistles in the pressure cooker.